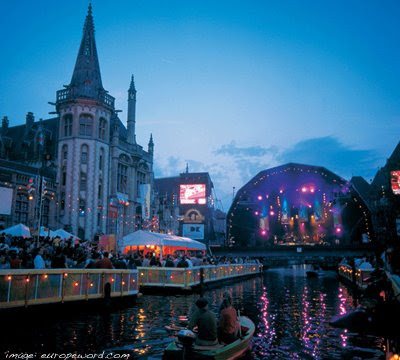 Ghent, Belgium's "Veggie Day" is Once a Week. The announcement: "Starting this week there will be a regular weekly meatless day, in which civil servants and elected councillors will opt for vegetarian meals." "Ghent means to recognise the impact of livestock on the environment. The UN says livestock is responsible for nearly one-fifth of global greenhouse gas emissions." "It is hoped the move will cut Ghent's environmental footprint and help tackle obesity. Around 90,000 so-called "veggie street maps" are now being printed to help people find the city's vegetarian eateries. "